Puzzle games where one explores worlds that are created by writing books. I remember jotting down loads of notes and building models to solve all the problems (before the walk-through times), only to get stuck at one of the final riddles that were color based, practically impossible for me. Civilization I, Civilization II, and Civilization III after which I stopped. Hard-core board gamer who I am (I prefer playing with people real games without computer), I loved the Myst series for its crazy riddles, where solving them often needs a combination of logical thinking, recognizing patterns in images and sounds, and piecing together long list of hints. This is something a normal board game cannot provide. From the Descent series I loved the complete freedom of movement. Normal first-person shooters are just like humans running around, a bit of jumping and crouching, but Descent gives you 6D freedom – which led to some people getting sick while watching me playing. From the Civilization series I don’t know what I liked particularly, but it got you involved and allowed you to play long rounds. After these sins of youngsters, I haven’t played for long long time, until a happy coincidence (of being Debian Developer) brought Steam onto my (Linux) machine together with a bunch of games I received for free. One of the games was Portal. 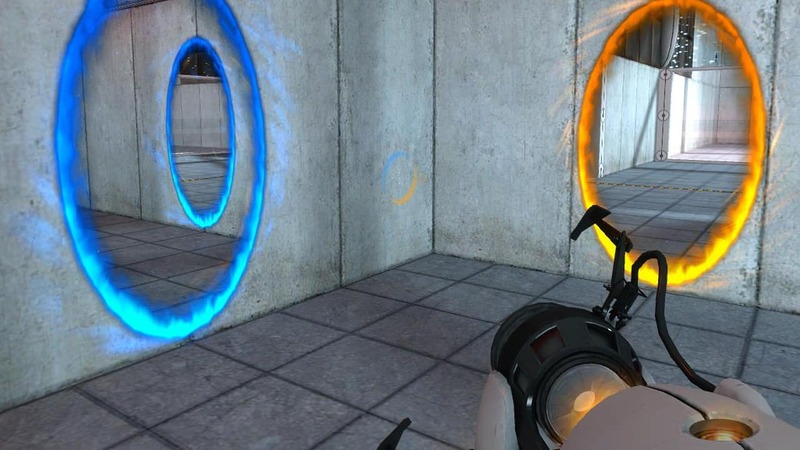 Portal is in the style of Myst games – one can place dual portals in various places, and by entering one of the portals, one leaves through the other. Using this one has to manage to solve loads of puzzle, evade being shot, dissolved in acid, crashed to death, etc etc, with the only aim to leave the underground station. Besides shooting these portals there are some cubes that one can carry around and use for a variety of purposes, like putting them onto buttons, using them as stairs, protecting yourself from being shot, etc. But that’s already all the tools one has. Despite of this, the levels pose increasingly difficult problems, and one is surprised how strange things one can achieve with these limited abilities – and no, one cannot buy new power-ups, its not WoW. Logical thinking, tactic, and a certain level of reaction suffices. Difficult decision. If you have any other suggestions, please let me know! Portal 2 is only $5 right now, there’s no way you’ll be disappointed. Talos is only $15 right now, but I only just began that one myself so can’t speak to prosepcts for disappointment (I have a very good feeling though). Portal 2 is great. Has much more story than Portal if I remember correctly. And you got it for free as well as a Debian Developer. yes indeed, I have Portal 2 already. Started it today and immediately got stuck – I am sooo bad in it! 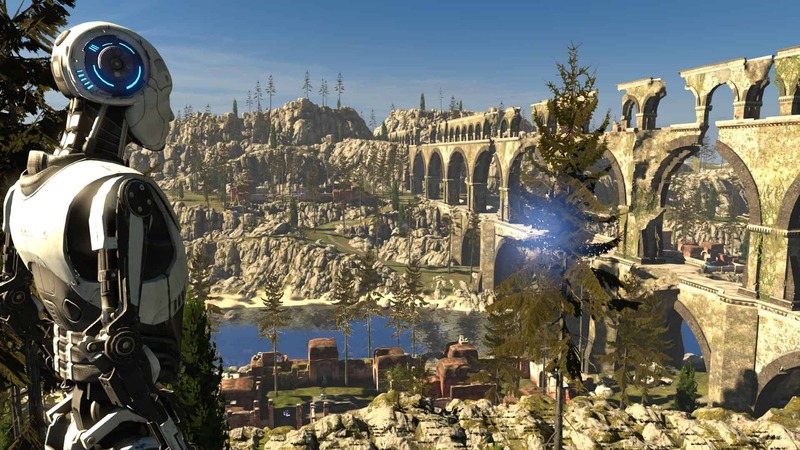 Portal 2 is a bit different from Portal, which some find good, others bad. 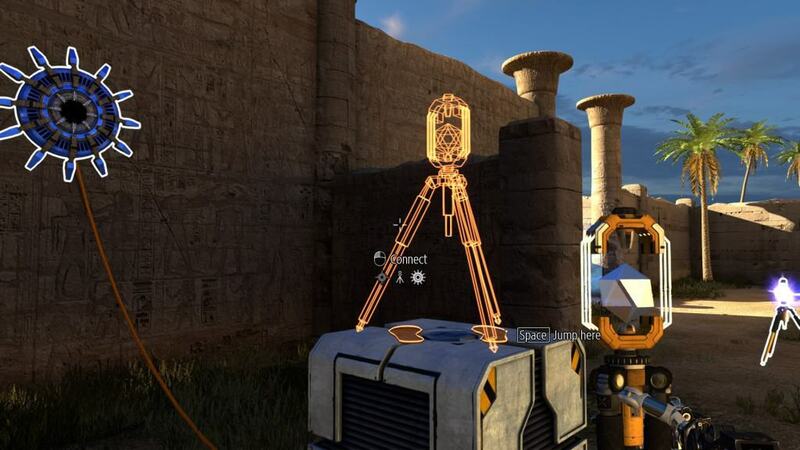 One of the things I really enjoyed in Portal was the limited scope and how it explored the concept of portals linearly (first no control of portals, then control of one portal, control of two portals) and quite exhaustively. 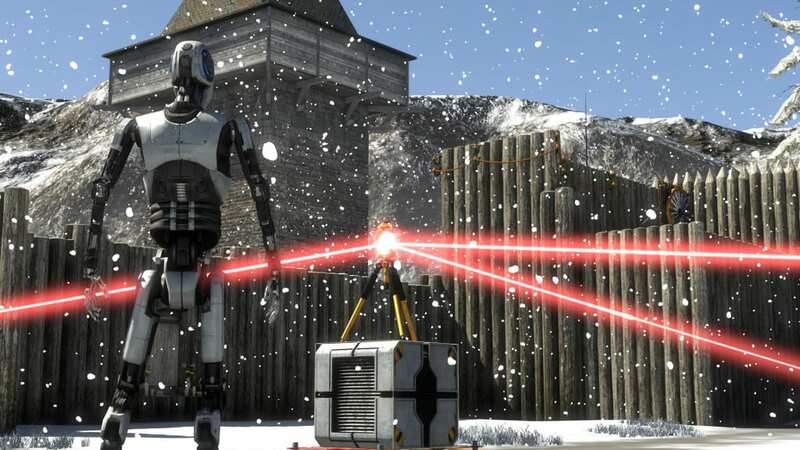 Portal 2 is a much larger project, rehashing some concepts. 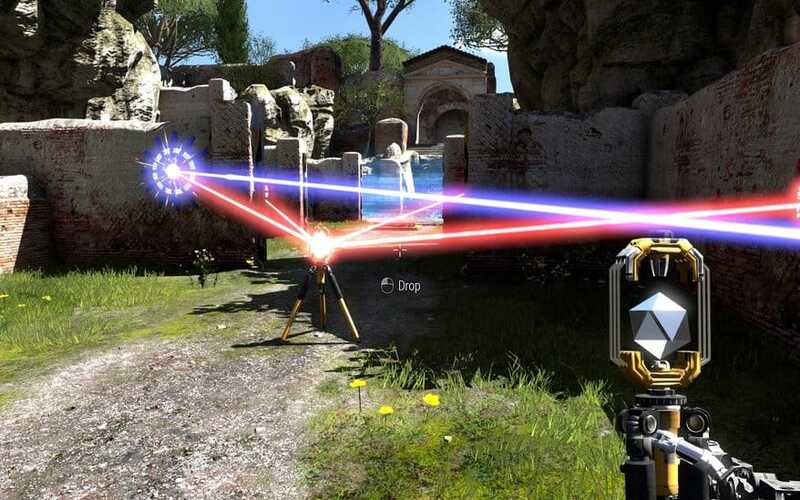 While it expands on the game mechanics, I personally had a larger experience with Portal since the mechanics where more surprising the first time around. With that said, Portal 2 is the natural continuation and a well-constructed game, but one should not expect having the same experience the “second time” around of the gameplay idea. Another puzzle game that I enjoyed immensely is Anti-Chamber. The best way to experience it would be to not read to much about it beforehand, but it is a seriously challenging slow-paced puzzle game with a very individual atmosphere. It has a superficial resemblance to Portal, though the puzzles are more “Myst-like”. I also would like to mention Braid, which by first look is a regular platformer, but turns out to be a very special one. I believe that those who enjoy Portal would very much enjoy Braid, even though they are very different at first sight. Below the surface they both have the same core of introducing unexpected changes to our preconceived notions of game mechanics and exploring the concepts fully; while Portal experiments with space, Braid experiments with time. Another puzzle-game definitely worth a look is World of Goo, which I believe can be appreciated by those who enjoy the building-and-planning-phase in e.g. Civilization and similar games. World of Goo is also very well suited for “burst playing”, since it consists of many smaller clearly separate levels. Without lengthy explanations I would also like to mention Machinarium, Osmos, Eufloria and Gemini Rue, which also all can be of interest for the same crowd in slightly different ways. I believe all of the games mentioned are available natively for Linux via Steam (and with the exception of the Portal games they have also all been a part of the “Humble Indie Bundle” at one time or another, whatever that indicates 🙂 ). wow, that is *very* detailed, thanks a lot. I have seen Anti-Chamber but never tried it, thanks for pointing me at it. A different friend also pointed me at FEZ. In due time I will try Anti-Chamber, too. All the other games, wow, you have a lot of experience. Considering how much time I spent for playing Portal, I guess if I continue at the same rate I will be busy till my late 150ies. Especially your hint on “burst playing” is nice – that is one of the things that is a problem, having long time in one stretch, which is necessary for some of the games. But also – like in Myst etc – a necessary requirement to fully enjoy it. Again, thanks for the detailed comments and suggestions! I second Machinarium and Osmos. I’m currently “playing” (or rather haven’t started for about a month) Dreamfall: Chapters and Broken Age, which might also be of interest. Hi Frans, long time no seen. Hmm, Broken Age – I have that, too, but somehow never managed to continue far. Not sure whether it is great. The other games I don’t know, need to check them out! Thanks Jo for the offer, but I already own Civ 5, but never got the hang of it. I got it some time ago in one of the bundles. Hi Norbert ! I’ve been following your great blog for quite some time (I stumbled upon it looking for ways to hack my Kobo reader and your tips were really helpful) but never commented. It’s high time I start ! In fact, quite like you, I am not really a gamer, and I think it’s been ten years since I last played on PC. I am rather what we could call a nostalgeek, cherishing my old Game Boy and SNES consoles. Anyway, for some time now I thought I could give Steam a try. But laziness never got me passed thinking about it, notably because I think I should upgrade my PC hardware first (well, I have to do that even if not intending to play games !). So I was wondering, what kind of hardware do you have which allows you to play such games as Portal and be a great programmer 😉 ? thanks for your nice words! Game Boy and SNES – I never had them! Concerning PC hardware, I am using a Vaio Pro laptop, that is all. No special graphic card, just a normal Intel. Still most games I play are working fine. I even play in big screen mode on my TV screen, but in full resolution (19nnX10mm or so) sometimes the games is not perfectly fluid – so yes, a bit better hardware would be nice. I am thinking about getting one of these steam boxes for the living room when they are out, though, makes it much easier. Intel graphics are extremely limited by fill rate, which is tied directly to resolution. Running a game at 1280×720 will yield MUCH smoother experiences than 1920×1080, despite the drop in graphical fidelity. Indeed, I normally switch to lower resolutions. Is there a specific reason for selecting 1280×720, though? It’s just one of the common 16:9 modes supported by games. Keeping the aspect ratio consistent is important. Hi Norbert, thanks for your reply ! Actually, I’ve got two main PCs which I could use for gaming, but one is an old Toshiba Satellite laptop under Windows 7 (an 8 years old PC with an awful Windows Vista OEM when I bought it), and a very decent Ubuntu 14.04 desktop I got reconditioned from my job company but with no graphics performances at all. Anyway, I think I will give both computers a try at running Portal ; and like Jo Shields said in is comment below, running a game at a lower resolution will improve the user experience and in my case, don’t put to much stress on my CPU (at least I hope so 🙂 ). BTW, I just realized that all the games mentioned are on summer sale till 22 June … time to stack up! Note that GOG is also having a summer sale atm. I happen to dislike Steam quite a bit, although I suppose it must be better now than it was ten years ago. I understand your feeling. As a Debian Developer I (have to) dislike their business model – but then, it simply works, and this is something I like. They really have done a great job. I now and then also check GOG, but Steam is simply more convenient, and when it comes to gaming, I prefer convenience (that is the reason I think about a Steam Box!). Actually my dislike stems from the fact that Steam didn’t work very well at all. A common theme for me with DRM-encumbered software, I might add. My dislike is first and foremost of a practical nature, although naturally it is theoretical as well. Steam had all kinds of ideas about how it should run which were completely counter to my own. For something essential I might be willing to suffer through, but otherwise I’ve got a million other things I’d rather be doing instead. Door schade en schande wordt men wijs. (Adversity makes men wise; Was man mit Schaden lernt, behält man lange; Dommage rend sage; Quae nocent, docent). About a decade ago I used to run a variety of cracked software which I could run legally, but it was just too much of a pain because it would refuse to run half of the time. Actually the amount of suffering for, say, Microsoft Office is surprisingly low as long as you keep such things contained in VMs. Interesting. Probably you have started to use Steam long long time before me. Nowadays I don’t see any problems, even me with running the latest rc kernels and Debian/sid. So while I agree with your philosophical remarks, on the practical side (one laptop with Intel, one Mac with nVidia) I haven’t had any problems whatsoever since I started playing (which doesn’t say anything, since this is rather recent). Probably you have started to use Steam long long time before me. Hi Roger, thanks for your remarks – really!?!?! Wow, I have to get them in some way, didn’t know about other games by DNA. Thanks for letting me know. If they are as mind-boggling as ST (and Pan Galactic Gargle Blasters) then I will surely enjoy them! 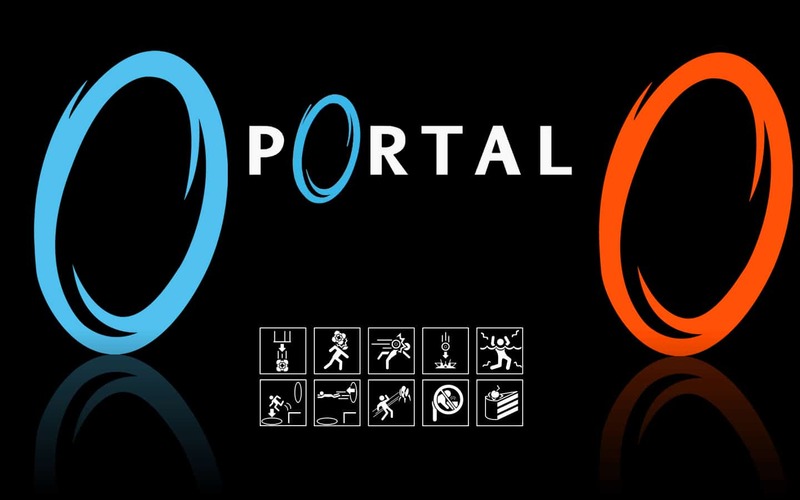 I loved portal 1 so much that I was extremely disappointed with 2. although I’ve heard the two player mode is worth it. maybe skip the single player storyline altogether. I cannot say much about Portal 2 by now. It feels somehow much more stream-lined and more straight-forward than Portal 1, though. I always feel the riddles are too easy.